Beautiful and plush rug with lovely colors. I couldn't believe that it rolled out perfectly flat ! So happy I bought it! I am so happy I found Overstock!!! 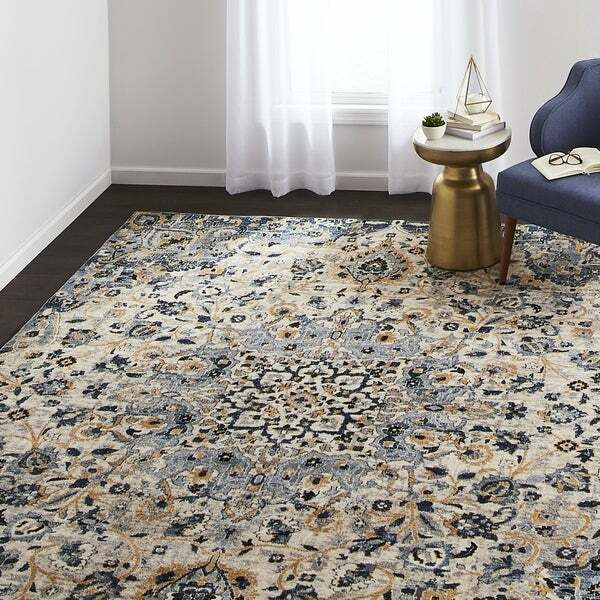 Rich in color and exquisite detail, the VCNY Home Lidia Medallion Area Rug bring together a traditional center medallion and intricate scroll accents for a timelessly beautiful and eye-catching look. Available in a variety of sizes and two color combinations, each rug is power-loomed in Turkey using polypropylene material to create a soft, durable weave that is resistant to water, stains, and fading for a style that's built to last. I'm extremely satisfied with this purchase. The rug looks just like it did online and I'm thrilled with it! It's very soft to walk on too.